Chaos Draft Returns: Chaos draft is coming back. It will be around from Feb. 13th (next Thursday) through Feb. 27th. Channel Fireball to do Text Coverage of MagicFests: Wizards has announced that they will no longer be doing text coverage – and possibly not video coverage, that’s uncertain. Channel Fireball, the company that puts on GPs and MagicFests, has announced that they will be providing decklists, standings and text coverage of these events. More in the opinion section. Nexus of Fate on Arena: Shahar Shenhar was streaming Arena recently, and was paired against an opponent playing a Nexus of Fate deck. 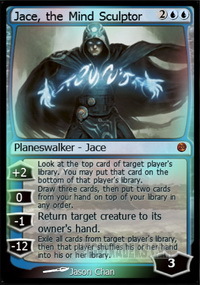 Eventually, the opponent was reduced to casting and recasting Nexus of Fate and hoping Shahar would concede. Shahar didn’t. His stream began attracting more and more viewers watching this bizarre waiting game. Finally, after over two hours, a Wizards employee stepped in and banned the opponent for two hours, thereby ending the match and giving Shahar the win. Strange. In paper, you cannot do this: if you demonstrate a loop, you simply state how many times you are going to repeat the loop (e.g. 1.5 billion times), then you have to take another action. 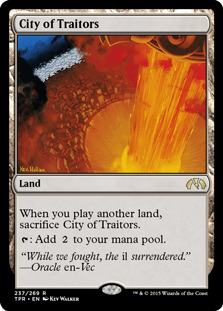 On MTGO, you are going to time out. On Arena – well, Wizards hasn’t figured that out, yet. Mafer withdraws from Mythic Invitational – Caleb Durward Added: The streamer Mafer has withdrawn from the Mythic Invitational after a campaign of opposition over stuff she did years ago. Personally, I’m immune, since the stupid stuff I did when I was 13 was never on the Internet, but this whole thing feels bad. On the plus side, Caleb Durward has been picked to fill Mafer’s slot at the MI, which is great. Team Vintage Super League Back: It’s back. Tuesdays at 6pm on Twitch.tv/Magic. If you enjoy Vintage, check it out. If you have wondered what Vintage is, check it out. Wizards has announced, in a random tweet late on Saturday night, that they are no longer doing coverage at the MagicFests. However, in an interview with the Professor on the official Wizards Twitch feed, (here) Blake Rasmussen said that Wizards is increasing the amount of money they spend on coverage. But, in talking about coverage of GPs, he said that he understood why people could be concerned that something they loved was going away. Then he talked about coverage of Mythic Championships – paper and Arena. Let’s back up. Let’s look at what we know. In November, Wizards announced that we would have 6 Pro Tours in 2019, but that the PTs would be smaller and have regional qualifications. And GPs would be renamed MagicFests. And PPTQs and RPTQs are gone. In December, Wizards announced that, no, there would be four Pro Tours, not six, and that they would be renamed Mythic Championships. And that the prize pool would be $10 million. Wizards also gave us the Magic Pro League and told us that there would be various ways to qualify for the Magic Pro League and the Mythic Championships. In January, Wizards told us about the Mythic Invitational, and explained that you can grid into it. Just play in this month long, entire world Arena event – where by Arena event, I mean everything on Arena, and make Top 8. Some of you may remember the old 264 player Leagues on MTGO v3, and how you had to grind for tiebreakers in the last couple days. Like that, but more grind, with more on the line. Hearthstone did this, and it proved to be a very bad idea. Lots of other podcasts, streams and articles have discussed this – check them out for details. Also in January, the whole no GP coverage thing I started this with. · Wizards thinks Arena is really important. · Hasbro’s financials are not great. · Paper Magic is not going away – it is just being called “tabletop” now – at least by Wizards. · How do you qualify for the Mythic championships? · How big will they be? What formats? Where? · Will there be GPs / MagicFests next year? · What about store level play? Actually, I think we know one big thing – internally, Wizards employees are still debating how they should move forward. Wizards has not decided on a final policy. This is why we are not hearing any announcements – Wizards does not know, and does not want to rule out (or in) anything that may have to be rolled back later. They can’t announce their policy because they don’t know it, yet. And that’s barely scratching the surface – Wizards has a lot more goals and needs to meet. And they have a budget constraint. 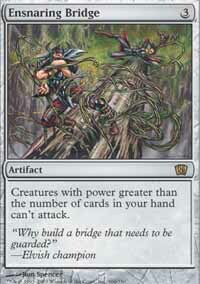 Wizards prints cards, not money, so they have a finite amount of money they can spend to meet all those goals. That’s a real constraint – if Wizards is not profitable, the game dies. Wizards can only be profitable if they do not spend too much. Choosing how to allocate the budget to maximize support for all of those goals is a lot like deckbuilding. You have a lot of decks and archetypes you have to beat, a lot of problem cards you have to have answers too, and only 75 card slots to fill. You have to make choices – and sometimes you have to scrimp on answers. Maybe you want six cards to handle one matchup, but have room for two. That sort of thing. Wizards is cutting back on coverage at GPs. Is that a real savings? Yes, it is. We don’t know exactly what Wizards pays for coverage, but we can guess. Typically, even text coverage meant three writers plus an editor / webmaster. That’s four people, meaning two hotel rooms, meals, flights, computers, space, laptops, and Internet (which is insanely expensive at conference centers – they know you have no alternative.) Evan Erwin, over on the magic Mics podcast, said this can run $10,000 TO $15,000 per weekend. He should know – he used to put together SCG opens. 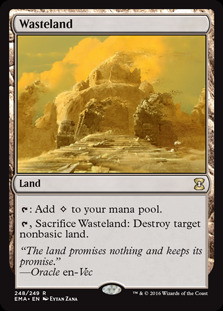 By eliminating coverage at the roughly 40 GPs (yes, MagicFests, I know – my fingers just automatically type “GP”) per year, Wizards is saving a half million dollars that they can spend somewhere else. Wizards can stop doing its own coverage, meaning that they stop paying for it. As they may have expected, ChannelFireball – the tournament organizer – is going to pick it up. This has happened with judge compensation, renting the venues, etc. When Wizards stops paying for something, the TO picks it up. That’s one reason why GPs/MagicFests are so expensive. Another reason why Wizards may have wanted to get rid of coverage: they were not all that good at it. Wizards coverage has gotten better than it was, but coverage of the SCG opens is just better. For that matter, video coverage was invented by Rashad Miller and the ggslive folks – Wizards just hired, then integrated them into the GP/PTs. CFB, or an independent card dealer, could probably hire the ggslive crew if they wanted to put on, and cover, their own series of event. A few years back, several dealers got together to put on the “Midwest Masters” series of events, but the competition form GPs proved too strong. Maybe that can come back. I don’t play or judge in Europe anymore, so I am not that familiar with the European TOs, but presumably something similar can happen over there. And in Japan. In an announcement last fall or winter, Wizards said they would have support for third party TOs in 2019. This might just mean that the SCG series might have a couple of Mythic Championships for season winners, or it might mean more than that. It might mean that Wizards is looking to turn over Magicfests / GPs to an outside organization like CFB completely. Wizards might still run the Mythic Championships, but the large, regional paper events might be all SCG Opens and CFB Events, and maybe a couple other competing/coordinating TOs. 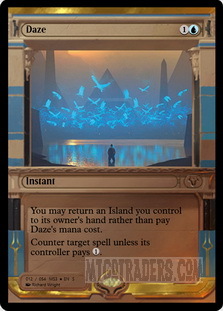 The SCG opens have always been supported, in large part, by SCG as a way to buy and sell cards. This might not be a bad thing – TOs like SCG and CFB have some experience running events, and might be able to take over and grow high level tabletop Magic. It could mean we have more options, from companies that can be more responsive to their customers. However, it would also mean Wizards ceding control over that part of their game – and those other TOs might fail. That’s a huge gamble. 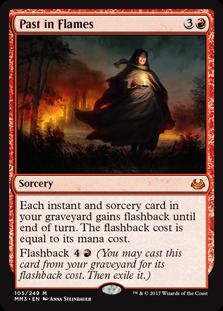 It’s like cutting the graveyard hate from your sideboard, in the hope that you won’t face dredge or Past in Flames . We don’t know what is going to happen – and that is frustrating as all get out. (No swearing on MTGOTraders.com – but this is one point where I wish I could.) 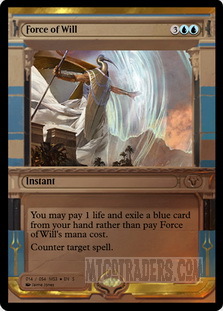 Is strongly suspect that that is because Wizards has not figured it out, either. Wizards is full of really smart people, and really smart people tend to have a lot of good ideas. They also tend to argue over those ideas. In this case, that argument is both over which ideas and approaches to choose, and how many resources to put into each of those approaches. Wizards won’t announce their choices until they are made. And, if those choices involve partnering with third parties, or renting special venues, or whatever, Wizards will have to hammer out those agreements before they are announced. So we wait. And that’s difficult. We all worry, because Wizards could mess this up bigtime. They could kill the game. First, Wizards has some really smart people. A lot of really smart people. I know a lot of business executives, and the average Wizards employee is smarter than most executives out there. Really. Second, Wizards has done this sort of thing before. When I started playing, we had a couple dozen huge, regional prereleases scattered across the globe. I had to drive 300 miles to attend the closest one. I attended a couple World championships, which were really cool, but kinda clunky and unwieldy when you got right down to it. I have played in, and judged, Wizards sponsored state championships, regional championships, PTQs, PPTQs, RPTQs, and more. I have played in a ton of sanctioned formats: Type I, Type II, Type I.5, Classic, Vintage, Legacy, Extended, new Extended, Modern, Standard and more. I played under Bethmo rules, when interrupts and batches were the thing. I played under sixth edition rules, which gave us the stack. I remember when damage went on the stack, and I have lost matches to mana burn. I have played with cards with a half dozen different frames, and four different border colors. 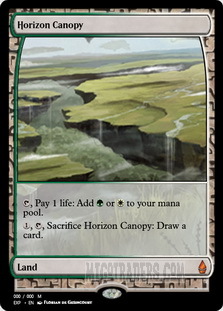 I remember when Chronicles came out, and have lived through several major changes to the reserve list concept. I remember Magic Online Digital Object, and MTGO v1, V2, V3, v3.5, and v4. I also remember Shandalar – the PC-based Magic game that ran on DOS. I have lost count of the number of cards I have owned and had banned or restricted. It’s in the hundreds. Wizards changes things. All the time. The only constant is that Magic survives and thrives. Over a decade ago, I wrote an article looking at all the competing CCGs that won best of show awards at Origins. That list included Vs. and Spoils and L5R and on and on. Of all of those, only Magic was still thriving at that point. It’s twenty-five years on, and it is still thriving. Yes, Wizards is juggling a lot of balls at the moment. Yes, they could drop them all and smash the game. But Wizards has been juggling for years. They are pretty good at it. They may drop a single ball now and then, but if the balls are important, they are good at grabbling them and getting them back in the air. It’s really easy to write a clickbait article about how Magic is dying. I have read them on each of the 837 (by actual count) time Magic has died in the past. But I would never bet on it. Standard: We seem to have two metagames. 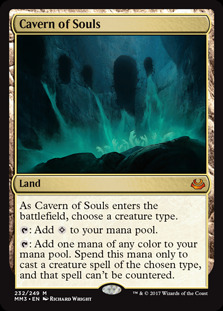 The Arena, best of one metagame has a lot of Red Deck Wins and UG Merfolk. The best of three metagames – from SCG Opens, Standard Challenges and the MOCs – all seem to have a bunch of Teferi / Nexus of Fate decks, and Sultai decks built around Hydroid Krasis. Modern: We have had a couple Modern events, and the format seems to be benefiting from the banning of KCI. That said, the old threats are still around. Pauper: What Pauper really needed was another one mana Lightning Bolt. Now it has one in Skewer the Critics. 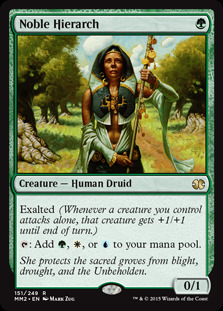 Legacy: This deck is stupid expensive ($3,000+) in paper, but quite affordable on MTGO. If you ever wanted to play storm combo, this is a good place to start. Just do a lot of goldfishing first. I learned this one by playing a couple hundred solo games on MTGO years ago. Vintage: Vintage is still heavily dominated by Shops, Storm and control decks, but some other decks appear on occasion. Also, Vintage Super League is back – Tuesday evenings on Twitch. Standard Staples: Standard prices are all over the place again this week, but the movement is pretty slight. A few cards stayed below my arbitrary $5 threshold, so they fell off the table. Rekindling Phoenix may be next. Eternal staples: The Legacy/Vintage table was getting small, so I combined it with the Modern table. The combined table is pretty quiet. 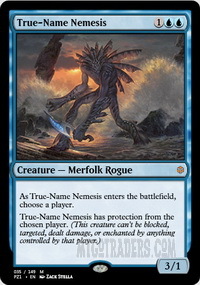 The following is a list of all the non-promo, non-foil cards on MTGO that retail for more than $25 per card. 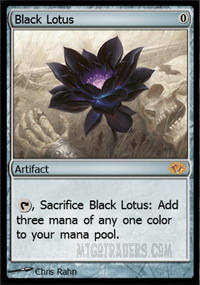 These are the big ticket items in the world of MTGO. 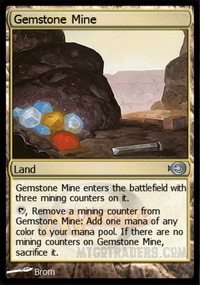 The list is led by the classic frame Power Nine, but none of the new frame P9 are on the list. Scarcity – and better frames – matter. The big number is the retail price of a playset (4 copies) of every card available on MTGO. 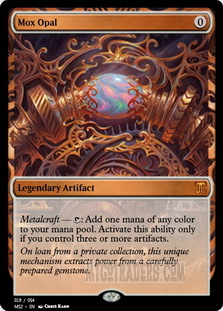 Assuming you bought the least expensive versions available, the cost of owning a playset of every card on MTGO is approximately $ 11,860. That’s down about $695 from last week. Hey, it thawed out here. Last week it was -34 F. This week it rained – then froze. All the trees are covered with just enough ice to lot amazing, and not enough to break off branches. About perfect. Also a good reason to stay inside and play Magic. Which I will be doing once I post this. That red pauper deck that won the whole tournament seems so high variance. 16 Mountains and 4 Probes, and 4 Fireblasts, yikes. 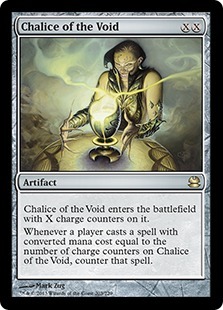 To me it represents the dark side of Magic the Gathering. 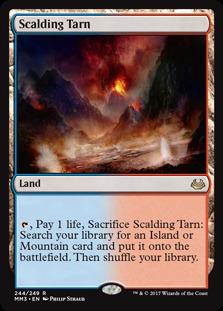 For the red player, it's basically just cross your fingers and hope to see a second land in time, with no deck manipulation at all to assist (the git probe doesn't really count because it's already factored into the choice to run 16 mountains). And pray you don't see more than 1 copy of a Fireblast. Mulligans would feel cripplingly bad I'd imagine. Yes there are many bolts for 1 mana of course, but the tempo loss when faced with an opponent who is curving out would quickly outmatch the 1-bolt-per-turn. Anyone have experience playing with/against this deck? 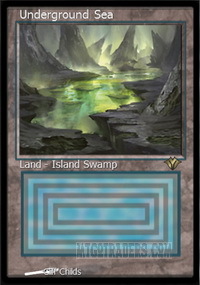 Actually 16 lands is not so bad for such a low curve deck. I played a lot of RDW with 16 lands in Pauper and it did fine. Flooding is worse than manascrew for red decks in Pauper. But I also don't get the 4 fireblasts. 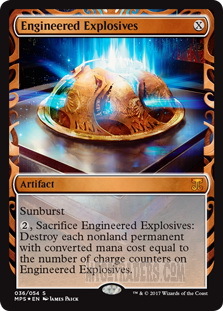 Feels like the third copy would be stuck in hand a lot of the time, feels to me it would be better to play only 3 fireblasts and one extra "bolt". But I never played this deck so I am not really sure. Some games go surprisingly long even with burn. Weren't you banned for harassment from Magic Online? Who was banned for harassment ?